Snrky: Each team does have its own definition. Each team does have its own definition. Snarky: I hate it when the answer to "Are you done?" 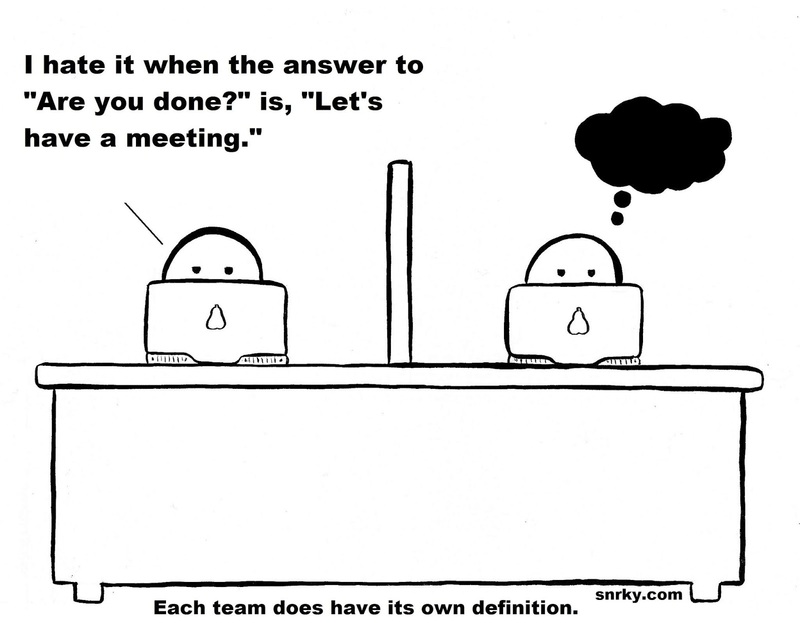 is, "Let's have a meeting." Title: Each team does have its own definition.